Priyabrata Das, the deputy general manager of North Eastern Electric Power Corporation Ltd (NEEPCO), who looks after the operation of the Doyang Hydro Electric Project (DHEP) located at Wokha district in Nagaland, was on Thursday evening questioned by the Golaghat police for nearly ten hours. Das appeared before the Golaghat police as he was summoned to appear before them. “Das was granted an interim bail by the Gauhati High Court and he was asked to appear before the investigating officer and accordingly he appeared. He said that he operated as per protocol and standard operating procedure,” said Partha Pratim Saikia, Golaghat deputy superintendent of police (DSP) who is also the investigating officer of the case. We will also issue summon to chairman of NEEPCO to appear in the due course of investigation, said Saikia. BJP legislator from Khumtai, Mrinal Saikia lodged an FIR against NEEPCO for the flood situation in Golaghat district. Based on the FIR the police registered a case (no. 578/18) under sections 120 B (punishment for criminal conspiracy), 304 A (causing death by negligence) of Indian Penal Code read with sections 3 and 4 of the Prevention of Damage to Public Property Act, 1984 which deals with mischief causing damage to public property and mischief causing damage to public property by fire or explosive substance respectively. The FIR was filed against the chairman of NEEPCO and the chief project officer of Doyang hydro-electric project situated in Nagaland’s Wokha district. 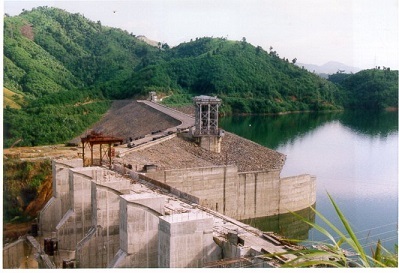 In the FIR, Saikia alleged that on July 27, the Doyang hydro electric project run by NEEPCO had released ‘excess waters’ from its dam without notifying neither the Golaghat district administration nor the state government in advance thereby causing sudden rise of water level in Dhansiri and Doyang river and as a result causing flood in the adjoining river side areas. The flood has inundated ninety villages so far affecting 2185 hectares of crop land and rendering thousands of people homeless. Three persons have lost their lives. Earlier on August 4, a team of Golaghat police led by DSP Saikia went to DHEP situated at Wokha district to enquire into the release of water by NEEPCO without giving prior information either to the district administration or to the state government. Das was then taken to Bhandari police station in Nagaland where he was served a notice under section 41 (A) of Criminal Procedure Code and asked him to appear in Golaghat police station next day to record his statement.